How to Eliminate Your Allergy Symptoms Without Needles, Shots or Medication! Dr. Gwinnup has been using NAET for over 10 years to help thousands of patient improve, if not completely eliminate, their allergy symptoms. An allergy is a hypersensitive reaction in which an individual displays an excessive or abnormally sensitive reaction to a substance. The allergic substance (known as the allergen) is viewed by the brain as a threat to the bodys well being. When contact is made with the allergen, it causes blockages in the energy pathways called meridians. This disrupts the normal flow of energy through the bodys electrical circuits or system. This energy blockage(s) causes interference in communication between the brain and the body via the nervous system, which then begins a chain of events that can develop an allergic response. Doctors and health specialists are not exactly sure why some individuals are susceptible to allergies and others are not. Food allergies are often the result of intestinal problems such as leaky gut syndrome. Many authorities feel that allergies can be developed in utero when the mother is exposed to certain foods, substances, chemicals, etc.What is true is that the rate of allergies is on the rise. Environmental Allergies primarily are inhalants and airborne substances you inhale at your home, school or workplace. They can range from dust, mites, animal dander, mold spores or mildew, to feathers. Environmental allergies also include contact with materials and chemicals. Food Allergies and Sensitivities occur when your immune system mistakes a food as a poison. Normally, your immune system protects you from germs and disease, however, if you have a food allergy, your immune system mistakenly treats something in that certain food as if it's really dangerous to you, setting off a chain reaction in your intestines or elsewhere in your body. Dr. Gwinnup's treatment for allergy elimination is through Nambudripads Allergy Elimination Technique (N.A.E.T.). Even though N.A.E.T. has been practiced for nearly 40 years, it is still considered a relatively new technology on the allergy scene. N.A.E.T. (pronounced "NATE") stands for Nambudripad's Allergy Elimination Technique and is a truly revolutionary system for dealing with allergies. It is a completely natural, non-invasive, painless and drug-free method of allergy control that can be used safely for individuals of any age (infants to the elderly) and regardless of the individual's health. It was developed by Dr. Devi Nambudripad, M.D., D.C., R.N., L.Ac., Ph.D. through her own research in 1984, she combined the working principles of allopathic medicine (western medicine), chiropractic, kinesiology, oriental medicine (meridian science) and nutrition to create a treatment to resolve allergy symptoms. To date, she has trained over 9000 health care professionals in the practice of N.A.E.T. Much of N.A.E.T. is not new technology. In fact, the discovery of improving health through the meridian science of oriental medicine dates back 4000  6000 years. It is the blend of the knowledge of these "hands-on techniques" that is relatively new. It uses much of what is already known. Each of these medical disciplines (Eastern and Western) provides bits of knowledge that together developed this new allergy elimination treatment. Unfortunately, the N.A.E.T. organization does not have the tremendous advertising budgets of the pharmaceutical industry to enhance the awareness of this cutting edge treatment. N.A.E.T. has grown primarily by word of mouth from existing patients and is only now finding its way into the research journals and allergy reference materials. The theory of N.A.E.T. is that we have cellular memory and "allergies" are the physical manifestations of an incorrect cellular memory of being sensitive to the item in question. When we neutralize that cellular memory, per se, we "clear" or eliminate that allergy. By stimulating the spinal nerves in a specific pattern along with specific acupuncture points while in contact with the allergen, we desensitize our bodies and brains to that allergen. Research shows that when major allergies are eliminated and the immune system is strengthened, the body resumes normal healing and homeostasis (balance). These changes can be seen on an EEG as changes in brainwave patterns. Our brains have a natural built-in capacity to subconsciously control the function of the immune system, which then has the potential of keeping us allergy free. What has been developed is a technique that consciously focuses the brain on a single allergen while clearing the blocked energy formerly associated with that allergen. This technique can successfully re-train the body to achieve an allergy free state of health. This may sound like magic, but it is more like the combination of quantum physics and computer programming. Life itself is the magic, because life is self perpetuating and requires decisions and actions. Healing is a component of life, not just an inert chemical reaction. It is very effective. Eighty percent plus of the patients treated to date by N.A.E.T. have experienced complete relief from their allergenic symptoms to the item for which they have been treated. Most of them report later that contact with previously troublesome foods or environmental substances no longer cause adverse effects. Dr. Gwinnup has been utilizing N.A.E.T. since 1998 with hundreds of success stories.The patient's commitment, understanding and following through with the doctor's instructions are an integral part to the success of the treatment. If the guidelines are closely followed the patient can expect improved health, which relates to an enhanced immune system, elimination of their allergies and symptoms, and a better sense of well being. There have been no reported negative side effects when the guidelines have been followed correctly. 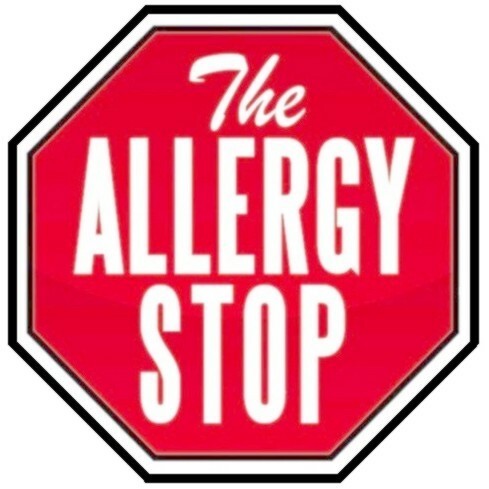 If the guidelines are not followed correctly, some patients have experienced the allergenic reaction as if they have come into contact with the allergen during the avoidance period. The high success rate is due in part to the thorough consultation, examination and proper treatment protocols. N.A.E.T. also has a research wing, N.A.R.F., which documents the use of N.A.E.T. on many different health conditions. It also strives to continuously improve its own procedures which in turn, produces better results. Are allergy symptoms more than itchy eyes and a runny nose? Yes! Drug advertising has spent much money training you to think allergies are only itchy eyes and a runny nose and that there is a pill for it. An allergenic response is part of the inflammatory response mechanism of our immune system. That means an allergy reaction always causes swelling somewhere in the body. When people have allergies or sensitivities to anything whether to trees, grasses, pollens, molds, chemicals, drugs, cosmetics or foods of any kind, they can end up having an almost limitless number of symptoms. Removing allergy "blockages" can give you a whole new lease on life. When you eliminate your allergies, youll be able to enjoy the outdoors again, not dread "pollen season" or hay fever, be able to enjoy a glass of wine without being ill the next day, or gobble down those shrimp without fear of a painful digestive attack in the middle of the night. When considering all illnesses and diseases have inflammation as part of their make-up, it is logical to assume that there is an allergenic component to the disease or illness. Clearing the allergy may greatly improve the healing time to recovery. "How do I discover and treat my allergies?" Conventional Western medical tests for allergies are several. Some of them are the "Intra-dermal test," "patch test," "scratch test," and various other blood tests such as the RAST, SAGE or ELISA tests, which can identify dozens of allergens from one test or from one blood sample. In most cases, patients must have had a recent previous exposures to the allergen to get an accurate result. Here at the Holistic Care of Charleston, Dr. Gwinnup can order any of these tests, but prefers to use the Meridian Stress Assessment (MSA). MSA is a painless, non-invasive analysis using an FDA-approved measurement device that analyzes acupuncture points on your skin to determine allergy sensitivities with greater accuracy than the above mentioned tests. MSA is also gives immediate information. Therefore, you know your results before you leave the office. Because there is no blood drawing or laboratory involved to arrive at the results, the overall cost is very affordable.